We are celebrating being picked as the editor’s choice in the Oct-Dec Issue of Stampers Sampler by Stampington. 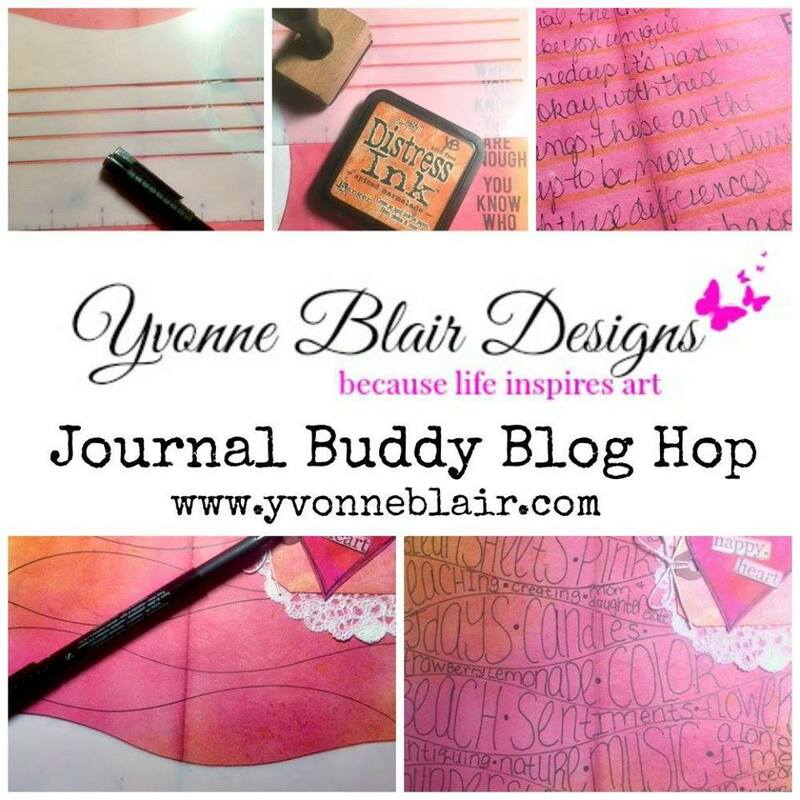 Each one of us Yvonne Blair Art Girls will be giving away a journal buddy on Friday Oct. 7. Leave a comment on each of our blogs by noon October 7, and we will each select a random winner. If you leave a comment on each blog you will be put in for a drawing to win a Journal Buddy, Art Journal and Stamper's Sampler Magazine Bundle. The winner will be announced October 7th at 7:00 pm. 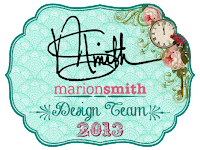 All winners will be notified by email and announced on Yvonne’s blog Oct 7 at 7:00pm. The Journal Buddy is a multi-functional tool that helps you add artful journaling to any paper crafting project. The Journal Buddy is made out of high quality stencil material that is not only pliable, but see through so you can see where you are adding lines. 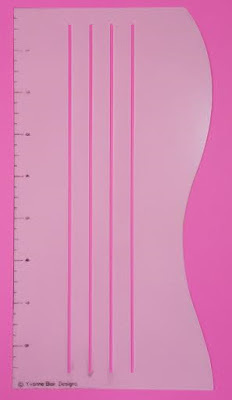 It features a wavy edge and straight edge with a ruler two short straight edges on each side to line it up so your journaling stays straight, as well as line guides for you to ink, trace, paint, or spray onto your page. You will be amazed at how easy it is to use adding decorative journaling to your art journals, scrapbook layouts, cards, envelopes and more. Today I will share with you how easy it was to use the Journal Buddy to create this fabulous chalkboard for my front porch area. 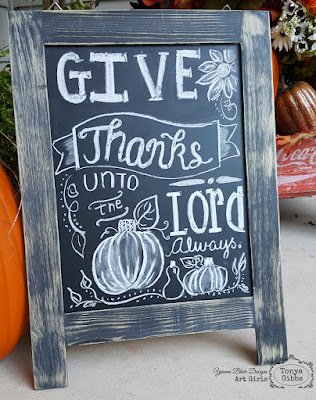 I found the chalkboard on clearance at a craft and hobby store left over from back to school merchandise. With a little elbow grease I sanded down the school themed edges and now it is perfect for my front porch. Next I used standard chalk and the Journal Buddy as a guide to draw out my quote. In the short 15 minute video below. I will demonstrate just how simple it was to draw my design. In real time it took about an hour. After Thanksgiving, I can simply erase the chalkboard and draw a design for Christmas. The flexibility of the Journal Buddy helps when moving around the board, and the ruler is essential in helping to space out your design. The wave edge is great for creating banners and writing on a curve. It was so nice having all these guides in one simple tool. 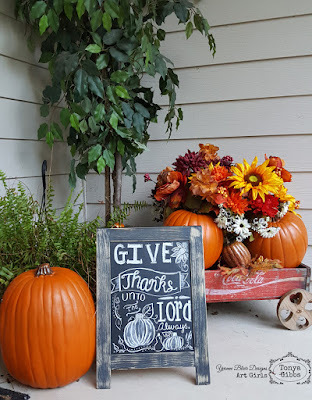 Here is what my little chalkboard looks like on my porch. or send payment of $8.00 + $2.00 Shipping to same email using Paypal. Thank you so much....Hope you enjoy! Don't forget to leave a comment below before you leave! If you liked what you saw don't forget to subscribe while you are here too! I love your chalkboard, Tonya. I would never have thought to use the Journal Buddy for this kind of project. Your video is so helpful. Brilliant!! Ok...headed to Michaels; Target; etc. I want to make this chalkboard! Super cute. Would not have thought of using this way. Thanks for another great idea! Such a cute chalkboard...and a new clever use for the Journal Buddy! You go girl!!! 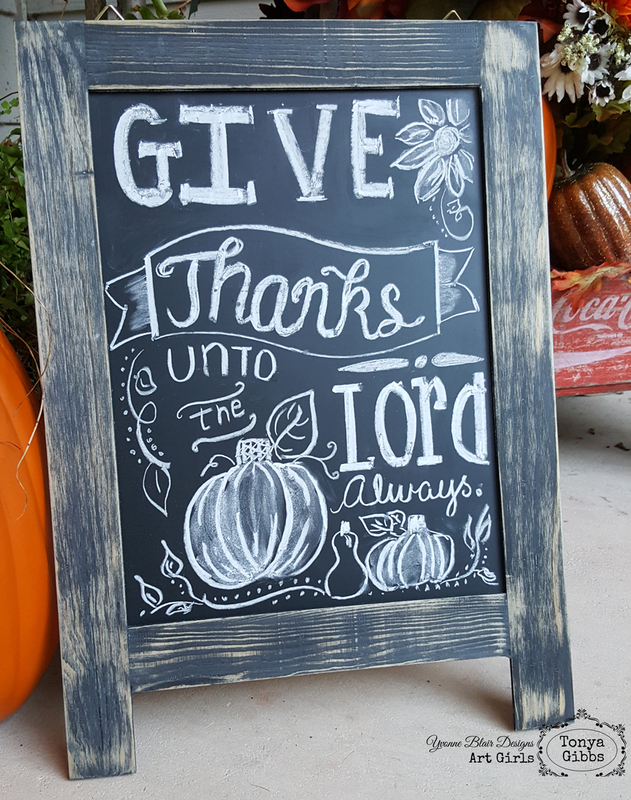 Love the chalkboard and how you used it! Very nice! Loved how you used how you used the Journal Buddy on that adorable chalk board sign. Love your chalkboard what a great idea! What an awesome tool to have! Thanks for sharing! LOVED your video....what a great tool, thanks for sharing and love your chalkboard! Great video! Thanks for showing us the versatility of the Journal Buddy. Great job on the chalkboard, too! isn't that something now! i would never have thought to us my products for a project like that! clever! !